SINGAPORE (Feb 22): Hot on the heels of a $9 billion Pioneer Generation package announced in Budget 2014, the $8 billion Merdeka Generation package is setting up expectations of similar packages for every generation of ageing Singaporeans. Notably, both are geared towards healthcare and broadly available to an entire generation of Singaporeans. Already, analysts are expecting at least one more package to follow. “I suppose when there is only one dot, one can’t extrapolate, but with two dots you can,” says Tan Ern Ser, a sociologist at the National University of Singapore (NUS). 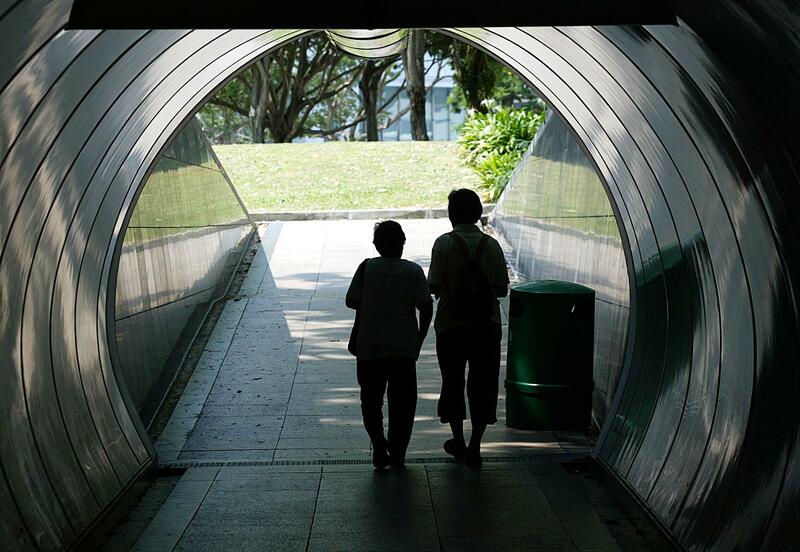 From a generational perspective, Thang Leng Leng, co-director of NUS’ Next Age Institute, believes there is need for another generational package for those now in their 50s. “Because they are still from the early period of Singapore’s formation and they did experience great changes. This is also the period when we only had one university so opportunities for higher education were very limited. Their parents had very limited income as well, so many felt they had to quit school, the girls had to quit school to make way for their brothers,” she says. But future packages, if any, would be smaller than the two existing ones – simply because the needs are expected to be smaller. However, Tan cautions that the government would have to scrupulously manage expectations from the population that there will continuously be such packages. The consequences of having these expectations unmet are two-fold: Slight political blowback — analysts anticipate unhappiness but not enough to make a serious dent — and, worse, a population that does not take care of itself. “There is also the need to ensure that such packages will also not unwittingly reduce personal responsibility and the role of the family in caring for older members,” says the former lawmaker. "You’re looking at ways and means to help the vulnerable and from a political standpoint, it gives brownie points to say, ‘We haven’t forgotten the contribution these generations’." The Merdeka Generation package was announced by Prime Minister Lee Hsien Loong during his National Day Rally in August last year, and details of the package were unveiled during Budget 2019 by Finance Minister Heng Swee Keat. The package will benefit close to 500,000 Singaporeans who were born from 1950 to 1959. To pay for the package that will last over the Merdeka Generation’s lifetime, $6.1 billion was set aside in a fund from this year’s Budget. Together with interests accumulated over time, the sum is expected to cover the projected cost of $8 billion. Broadly, the package has subsidies for outpatient care, top-ups to Medisave funds which are used for hospitalisation and surgery, additional premium subsidies for the universal insurance scheme MediShield Life, incentives for joining the upcoming disability insurance scheme CareShield Life and a one-off $100 top-up that can be spent on facilities such as public pools. The Pioneer Generation package covers those born in or before 1949 and had a similar suite of benefits but at a higher quantum. While the Merdeka Generation Package is not as generous as the Pioneer Generation one, it is more generous than expected and addresses healthcare concerns of those in their 60s, says Tan, a former Nominated Member of Parliament. The way CIMB economist Song Seng Wun sees it, such subsidies are necessary because healthcare costs will always increase, and there will always be some form of inequality and people in need of aid. “The system can never be good enough — unless it is free. But we’re not a welfare state and we do not intend to be a welfare state,” he says. A package approach, says sociologist Tan, has perks of being finite. “It has an expiry date; finite population coverage; and fixed amount of funds earmarked; whereas other approaches to giving subsidies may be harder to remove; would be expected to go on indefinitely; and harder to administer, if not universal,” he says. And, of course, there is goodwill to be earned when necessary subsidies are packaged as gratitude. While the packages are welcomed by most, they are indicative of certain shortfalls within the healthcare and retirement funding systems. The fundamental structure of the economy has changed, says Lim. While MediSave accumulates when one is working and contributing to their CPF funds, he believes the fourth industrial revolution and the gig economy will see fewer people with jobs in the formal sector over their working lives. “So if we stick to the MediSave and MediShield funds it means these adhoc top-ups are necessary,” he says. One potential downside, however, is that healthcare costs could rise further because of such stimulus, as service providers look at ways to tap the incoming money. “This was seen in the pre-school sector where childcare operators often raise their fees to capitalise on the higher subsidies given to parents,” says SMU’s Tan. In this light, Lim says the government needs to make sure there’s a properly functioning market. “Singaporeans need to learn how to be savvy buyers, and as with every market, especially one as complex as healthcare, someone needs to track carefully and intervene when the market doesn’t work,” he says.